The partner program numbers from iStockphoto were added early in the month, so I have now a complete overview of my monthly returns. As I had already reported in my preliminary report for October, the month has set a new record since I became independent from my prior exclusivity with iStockphoto. And it has even improved with the iStock PP numbers added. I had to show the whole history of my microstock earnings going back several years to put the numbers into context: As you can easily see the October totals were so far above the months before, I have to go back to 2011 to find months with similar earnings. Actually, StockPerformer does not cover all my agencies. Though it covers 97% of my royalties, the last 3% even push the numbers slightly higher: So if you would see the details, you would find only two months in 2011 and another two months in 2010 showing a higher monthly total than this month. In my seven years of doing microstock, only 6 months had seen a higher number in royalties earned. It is no big surprise that Shutterstock is providing the largest part to my monthly totals. This has been the case for many months now. As already said before, a few downloads on Stocksy United made a big impact on my earnings in October. Actually, Stocksy has now provided about 5% of my annual royalties so far – this is quite surprising as I have less than 5% of my image portfolio on Stocksy, and the co-op has only gone live end of March. This is a very promising start. What has been more of a surprise was the big change in the partner program payments for October coming through iStockphoto. The number of downloads has not risen significantly from the months before but there must have been a change in how those images are sold to clients: A rising number of Image Pack sales and two Extended Licenses have turned the PP from an equal part to the native iStock sales to a clear number 2 in my total earnings. It has outsold iStock by a factor of 3 in royalties. I do not have a reasonable explanation for these rising numbers. Yes, there was a program called Getty 360 which apparently is offering all of the imagery from the Getty family within a single access point to the regular clients. Maybe this is what made the change. But I did not see any news why it would happen this quick and dramatically. But I sure hope it was not just an exceptional month. Beyond the big two, Fotolia continues to provide a regular stream of royalties. However, the amount is far behind iStock and Shutterstock. I plan to investigate Fotolia and my portfolio there further in the near future as there are many people reporting Fotolia to be one of the best sellers and I am too far away from matching the numbers others seem to generate. 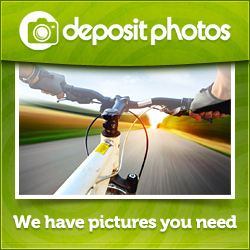 Among the smaller earners, DepositPhotos is on the rise for me. It appears they are putting in quite an effort to become a serious competitor to the big three (or four for those who count Dreamstime as part of the bigger places). I get the impression, they are very keen to get into the top circle, and I am very happy with the progress they are making. Beyond that, the smaller agencies are selling files every now and then but not a significant amount to list them seperately. I keep hearing names of other agencies and I will consider adding a small number to my distribution list in the coming year. But the minimum requirement I have for an agency to be worth considering is that I should be able to expect reaching their minimum payout levels at least once per year. Agencies selling less than that do not seem to be worth my time. I would rather prefer to add new images to my portfolio than add more names to a list of places I have to watch. Quite honestly: I have no idea what the smashing numbers for October mean. Was it just random that so many positive things happened in a single month? Or is it the start of a new trend? I can’t be sure until I am seeing the next few months but I am getting slightly optimistic that I might call this October the break through to better times. The first half of November has been similarly positive: An Enhanced Download at Shutterstock; another XL sale at Stocksy United; a series of images sold at Dreamstime; another series of image sales at Pond5. All of these are minor when looking at them separately but the occurance of bigger sales seems to become more regular these days. If the second half of the month is going to match the first half, it will be in the same range as October once again. And I have been pretty busy shooting and uploading new images in recent month. As the growth of my portfolio continues, I am hopeful this will have a significant impact on my earnings as well. There is six weeks to go in this year, and I am already close to matching my 2012 earnings with a positive trend. This looks promising for 2014, I am looking forward to the coming months.